NOTE: Due to new testimonies and data collected in the last few days, Tom Bosco and Diego Antolini have requested the event to be postponed in order to better analyze the new information acquired. They both will be present at the Il Faro Bookstore in Sondrio, ITALY, on June 29 starting 8:30p for a preview of their speech. They Have Been Among Us For Decades, But What Do We Know About Them? 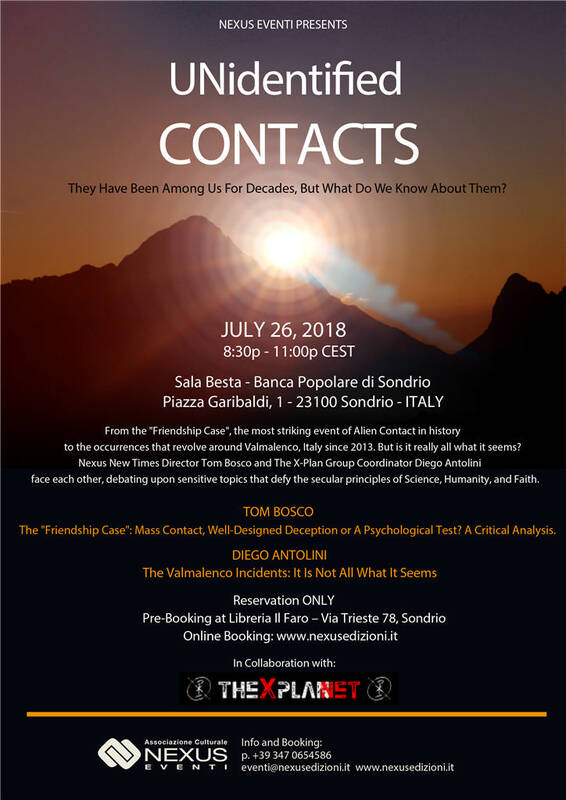 From the "Friendship Case", the most striking event of Alien Contact in history, to the occurrences that revolve around Valmalenco, Italy since 2013. But is it really all what it seems? Nexus New Times director Tom Bosco and The X-Plan Group Coordinator Diego Antolini face each other, debating upon sensitive topics that defy the secular principles of Science, Humanity, and Faith. The "Friendship Case": Mass Contact, Well-Designed Deception or A Psychological Test? A Critical Analysis. A well-documented, highly debated case of mass contact which went on for decades, involving several people at all social status and levels, in cooperation with alleged extraterrestrials, and still leaves many questions unanswered. Some call them miracles, some keep a rational mind. Others want to believe beyond the dogmas of Faith and Science. Is it possible to draw a clear-cut view upon the Valmalenco Phenomena? 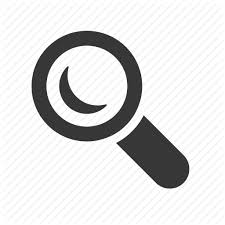 The essential scope of the investigation becomes the exploration of possible sociological scenarios of an Exo-Integration.